It was a landmark in the life of MET League of Colleges when two melodious events were held at MET as part of the prestigious ‘Celebrate Bandra’ fest. The events scheduled included a melodious evening on ‘Classical Ragas and Film Music’. 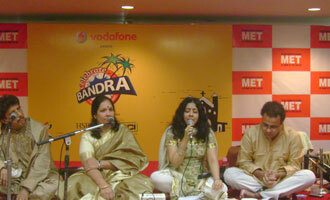 The luminaries present included singers Dr. Sandhya Kavate and Sanjeevini amongst others.